KAMPALA – The government has, with respect to the court ruling, appointed two workers’ representatives to the National Social Security Fund (NSSF) Board. 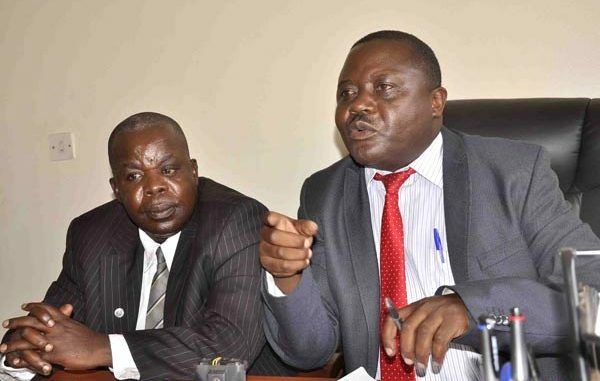 The government had dithered on the move after the Uganda Retirement Benefits and Regulatory Authority (URBRA) had rejected the nominations of Mr Peter Christopher Werikhe and Stephen Mugole, both members of the National Organisation of Trade Unions, to the board. But following a court ruling last month, which declared that the URBRA move was illegal, Investment minister Evelyn Anite has appointed the duo to the positions. “In the exercise of the powers entrusted to me by Section 3 (2) of the National Social Security Fund Act 1985, I am pleased to appoint you a member of the board of directors/trustees of the NSSF for a period of three years effective April 4, 2019,” the minister wrote to Mr Mugole. Early this month, Deputy Attorney General Mwesigwa Rukutana advised Cabinet to quickly appoint the two remaining workers’ representatives to the NSSF board after the court ruling. “I have perused the court ruling and decree. Both of them are self-explanatory. Since the court order is clear and unambiguous, we are legally obliged to obey. I advise you to obey the court order,” Mr Rukutana wrote to Minister Anite on April 4. In December 2018, National Organisation of Trade Unions (NOTU) nominated Mr Werikhe and Mugole to represent workers on the NSSF board but were rejected by URBRA claiming the nominees were not eligible. The NOTU challenged the URBRA decision in court.